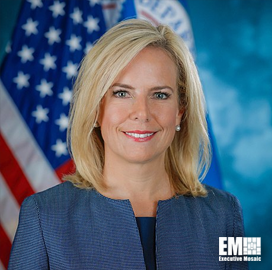 Homeland Security Secretary Kirstjen Nielsen said the federal government should increase efforts to protect agencies, industry, academia and the public from hackers supported by other countries since the U.S. today “is not prepared” for a foreign cyber attack, The Hill reported Monday. “It’s not just U.S. troops and government agents on the frontlines anymore. It’s U.S. companies. It’s our schools and gathering places. It’s ordinary Americans,” Nielsen said during a speech at the George Washington University. The call comes after other federal officials warned that hackers backed by countries like Russia, China and North Korea pose major threats to the U.S. Despite the growing threats, Nielsen said that the U.S. government did “far too little” to boost cybersecurity. 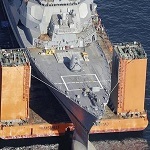 The Department of Homeland Security is working with the Department of Defense to address cyber threats targeting the government and the local supply chain.